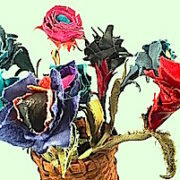 One-of-a-kind Leather Creations using recycled/repurposed leather. 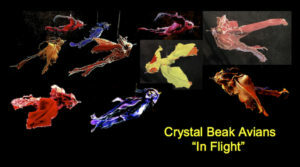 Hatched in the artist’s mountain studio, Crystal Beak Avians are ready to take wing & roam the planet to spread & nurture the healing powers of peace & Love, bringing good fortune wherever they wander or perch. They may be observed soaring overhead, nesting or refreshing their powers among clusters of sacred crystals or pausing on their journey to communicate with others. 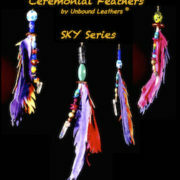 Avian prices range from $95.- $185. depending on size, complexity of design and rarity of accompanying crystals, gemstones or sacred rocks. 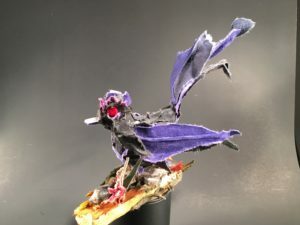 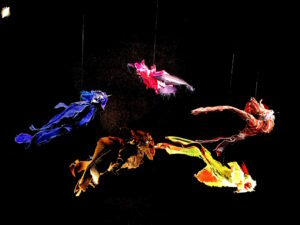 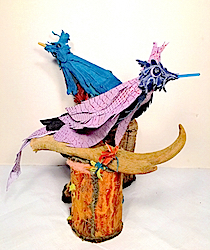 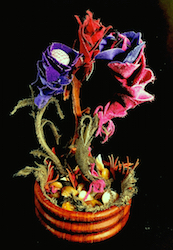 Their flamboyant plumage, formed from upcycled leathers & found objects varies, as does their size, preference in nesting environment, crystals & places to perch. 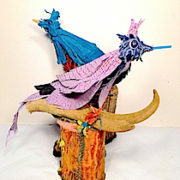 Avians are composed of hundreds of small pieces of diverse leathers and range in width from 6″- 10″ and 10″ – 14″ in length. Some are perched on Forever Gardens, watch over nests of crystal clusters or designed to hang from ceilings, windows or around plants. 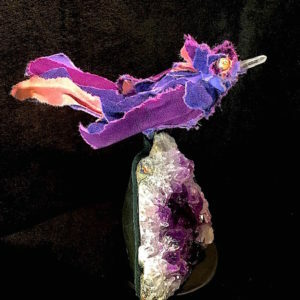 Their wings and tails are constructed with metal armatures to allow them to catch the breeze or be positioned for optimal viewing.